Implant-supported dentures have allowed denture wearers to enjoy a fully-functional set of teeth without worrying about their stability. Using mini dental implants, Dr. Ed Akeel can create a complete denture that securely rests atop the gum line, granting patients with a set of teeth that provide a new and healthy quality of life. An implant-supported denture comes in the form of a complete or partial dental arch that attaches to a series of mini dental implants placed in the jawbone. A metal housing is placed at the base of the denture along with a rubber O-ring that attaches to the metal housing and acts as a seal to lock each piece into place. The mini dental implants are placed into the jawbone and snap into the metal housings located on the denture. How Is the Denture Created? Dr. Akeel will take impressions for your dentures by using a tray specialized for areas of the jaw with some or all teeth missing. The tray is loaded with a material that is placed into the patient’s mouth to capture a custom impression under the pressure of the patient’s bite, which will mimic the actual bite position once the denture has been created. Once the impressions have been crafted, they will be sent to a laboratory that processes the impressions by using an acrylic material to shape the teeth once the wax from the impressions has melted. This technique allows for the most accurate completion of the prosthetic teeth. Lastly, the lab will print a label with the patient’s name that is placed into the acrylic. 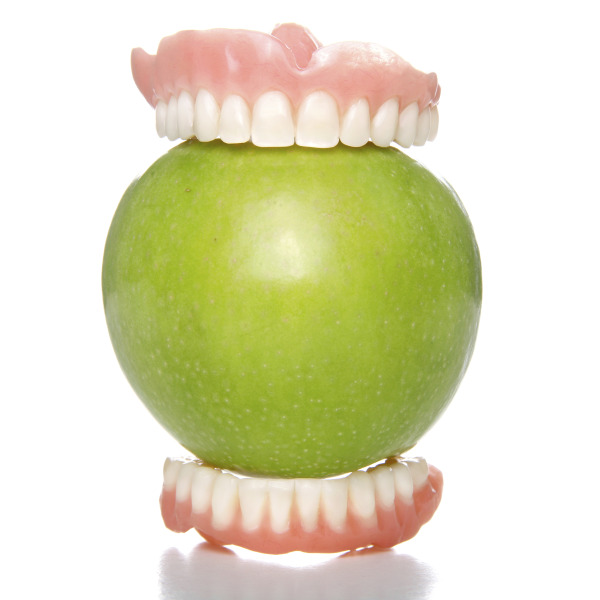 For patients receiving complete dentures, Dr. Akeel can have a duplicate denture created, as a backup option, in case the original full denture gets lost or damaged. Dr. Akeel uses the highest quality material and resources to create the best dental prosthetics for patients, and performs all preliminary work within his Charlottesville dental office. Dr. Akeel chooses the teeth for the denture from a reputable company and works closely with a lab called Rochester Technical Group for the precise creation and final processing of each denture. To find out whether you qualify to receive implant-supported partial or full dentures, contact Dr. Ed Akeel in Charlottesville today! For more information about the dental implant procedures we perform, please contact Dentistry By Design and schedule an appointment!